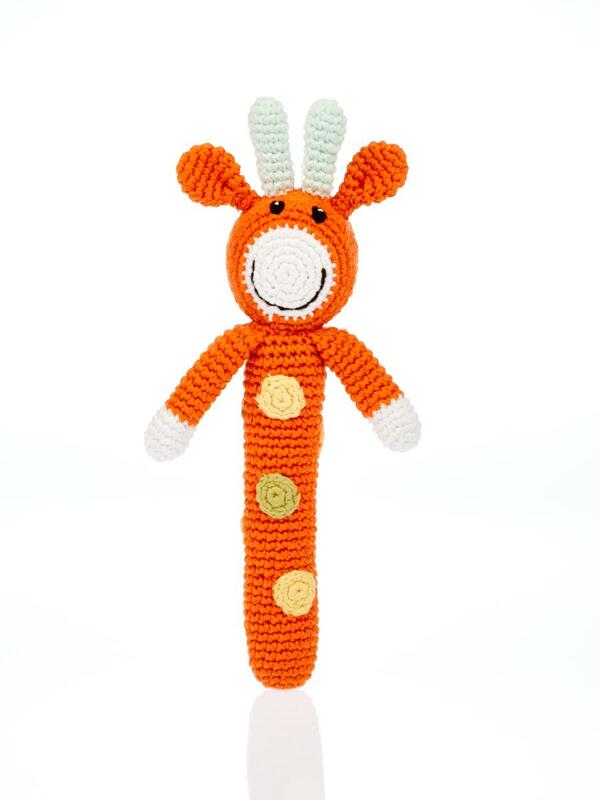 This giraffe stick baby rattle is a great addition to our baby rattle range. Stick rattles are ideal for babies as they are easy to grasp and fun to play with. Fair trade, handmade, suitable from birth, machine washable.